When you think of law enforcement, you probably picture a big, cumbersome duty belt, tinted glasses and a radar gun. Or maybe you see crime scene tape and fingerprint dust. However, there are lots of other types of job opportunities you can explore with law enforcement courses. The most obvious career choice for graduates of law enforcement courses is police officer. In addition to any prior training, cops must attend police training through the department in which they intend to work, and they face numerous hazards on the job. Police officers have noble positions and take serious risks. If you want to be a cop, it is a good idea to pursue a bachelor’s degree in criminal justice-this is required in some jurisdictions. After you’ve become a police officer, you might want to advance into other job opportunities in law enforcement, such as detective or state trooper. A good friend of mine has worked as a police dispatcher for many years. His diagnosis of multiple sclerosis prevented him from continuing to work as a police officer, and this career choice allowed him continued involvement in law enforcement. His hours are generally inconvenient, which is something prospective dispatchers should consider, but he finds fulfillment in guiding officers to people who need help. Police dispatcher job opportunities are expected to grow “faster than average,” which means greater income and employment prospects. There might be more opportunities in some jurisdictions than in others, and large metropolitan areas generally have greater need than smaller cities and counties. A police dispatcher can take law enforcement courses through professional associations or they can be trained on the job. Either way, this can be a stepping stone to other job opportunities or a permanent career choice. 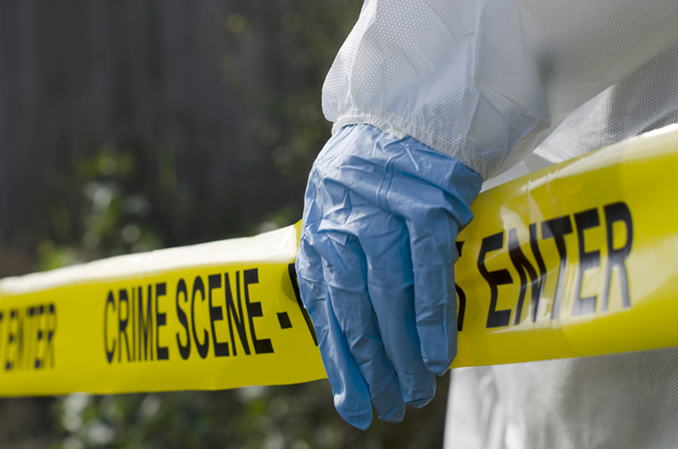 A science technician-also known as a crime scene technician -is involved in the investigate process in law enforcement. These professionals are responsible for locating, collecting and processing evidence, and may work in laboratories or in the field. The job opportunities for science technicians are diverse and plentiful. Law enforcement courses are necessary to learn how evidence is used and processed. Some of this training can be completed on the job, though formal law enforcement courses are preferred. If you want to become a science technician, you should decide in advance where you want to specialize. Some professionals are experts in the areas of ballistics or biology, and require different educational training. Many police officers started out as corrections officers, and there are plenty of job opportunities in this field. If you have taken law enforcement courses and are interested in the inner workings of prison systems, this might be the career choice for you. Corrections officers have a wide range of duties, and have opportunities for advancement. They are responsible for enforcing policies and directing day-to-day activities in jails and prisons, and although this job is dangerous, it can also be rewarding. Those with law enforcement courses under their belts might want to avoid formal police operations entirely and go into private security. A security professional might work at a retail store, a bank, a training center or any number of other locations. There are also job opportunities in private security if you want to be a private investigator or a private security guard. Individuals who require assistance or protection hire security firms for myriad reasons. You should have law enforcement courses in criminal justice, security management, defense and more. Whether you have already taken law enforcement courses or you are researching the possibilities, there are a number of job opportunities in this area. Don’t assume that you want to be a police officer; there are other options that might be a better fit for your skills, education and expertise. For example, artists and creative professionals might want to work as sketch artists. There is a growing needs for graphic artists who can translate artistic drawings to the computer, so don’t overlook this field if you have a talent for the arts. Consider also that there are numerous local, state and federal law enforcement agencies, each of which is in need of bright, talented professionals.